Three wishes I made, three places I sought on a warm and breezy summer day in western Montana. Riding south through the Bitterroot Valley, my red BMW glided past Hamilton and Darby, picturesque towns along the river. But I scarcely slowed down, focused as I was on Wisdom, the first destination of this ambitious loop ride. 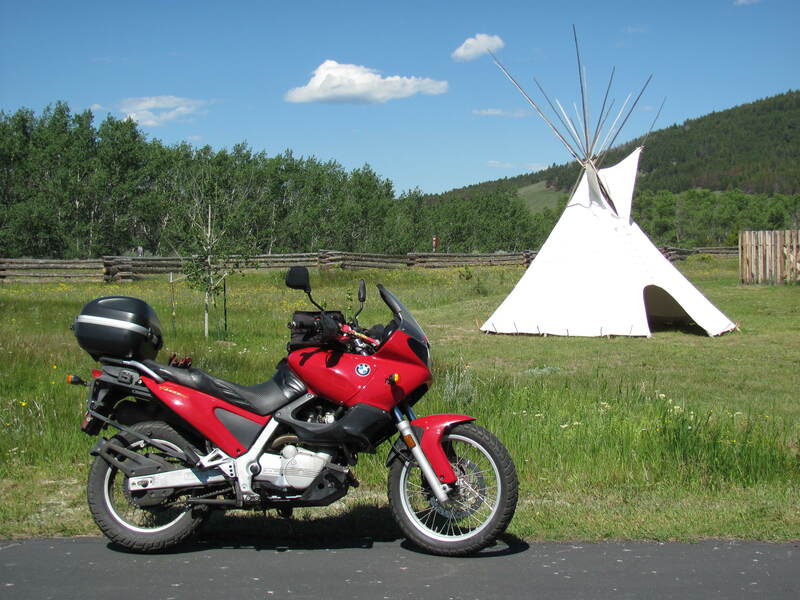 Near the Idaho state line, I turned left to ride over a pass named after the great Nez Perce warrior, Chief Joseph, and coasted downhill on Highway 43 toward Wisdom. Presently, I pulled in to the Big Hole National Battlefield. Through displays at the Visitor Center and along a self-guided trail near the actual battlefield, I absorbed the story of a group of 850 Nez Perce Indians who eluded white soldiers in 1877, fleeing from eastern Oregon across Idaho and the Bitterroot mountains to this location along the Big Hole River. Believing they were far ahead of their pursuers, the group paused to rest here. But unknown to the Indians, a second military group had joined the chase. 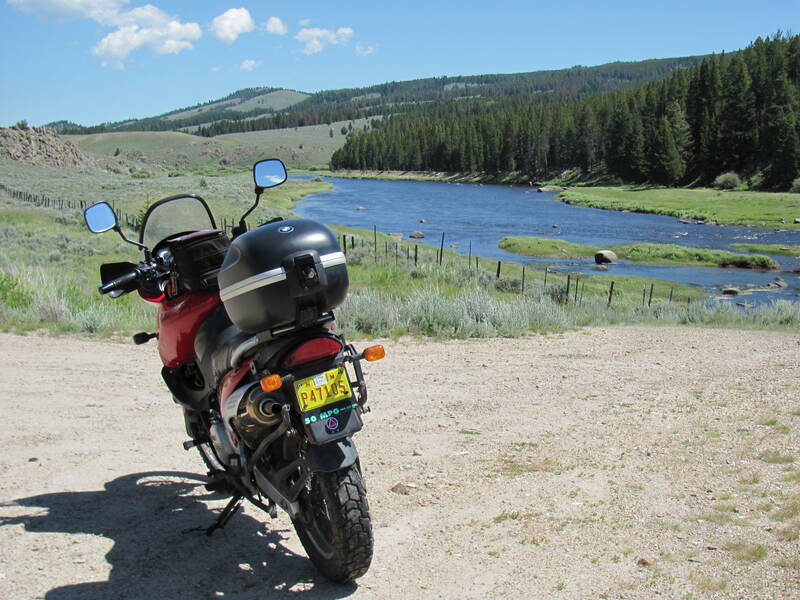 Ten miles in a straight line from the Big Hole National Battlefield, I reached Wisdom, Montana. The town (and the river that flows past it) was reportedly named by Lewis and Clark for one of the virtues of President Thomas Jefferson. Wisdom River was later renamed Big Hole River, but the town kept its original name. It was a typical rural Montana burg, big on scenery, big on sky, but short on services. A bar, a gas station, and a trading post: that’s about all there was to Wisdom. I turned north and followed the river through some breathtakingly beautiful country. The Big Hole River is said to be one of the top blue-ribbon trout streams in America. 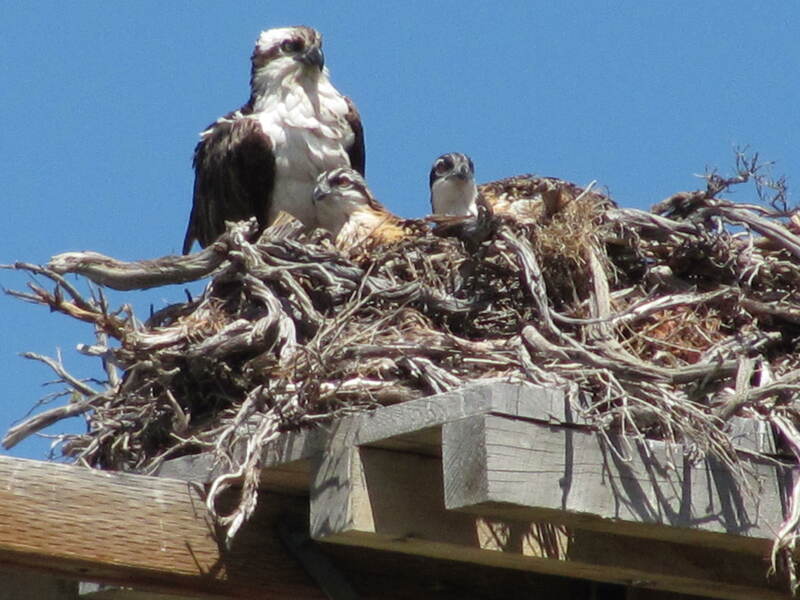 Though I saw no fish jumping, I stopped along the way to look at an osprey in the nest with two half-grown chicks, and a badger waddling from the river’s edge to a brushy bank. Plenty of sweeping curves, as the road followed the gentle undulations of the Big Hole, made this leg of the ride pure pleasure. I veered away from the Big Hole River at Highway 274, in pursuit of my second wish: Opportunity. The route snaking over a pass between Grassy and Sugarloaf mountains was paved, but barely. I slowed my speed by half, the better to see and avoid cavernous potholes in the asphalt. Presently I reached a landmark famously visible for miles around: the Anaconda Smelter Stack, largest freestanding masonry structure in the world. Built in 1883, the nonferrous copper smelter processed ore from the mines in nearby Butte for nearly a century. The “company town” of Anaconda grew up around it, but a smaller town nearby pulled me down the road a few miles farther. Opportunity, Montana was founded in 1910 by one of the Anaconda Copper Company bigwigs, to allow employees to raise families in a rural setting. Each home came with a ten-acre plot; a streetcar provided transportation into town for the handful of people who moved out there. I turned off the main highway and rode through Opportunity, trying to grasp it. A volunteer fire department building and a tiny community center seemed deserted, and I was not able to locate any businesses, or even a post office. As I wound around its several unnamed streets, I got the distinct impression that very few people ever have reason to venture into Opportunity. Now I was ready to go after my third wish: Treasure. Montana’s nickname is the Treasure State, and I knew right where to find some. The road out of Anaconda climbed up into the Pintlar Mountains past Lake George, a reservoir that provides summer boating and winter ice fishing for local residents. 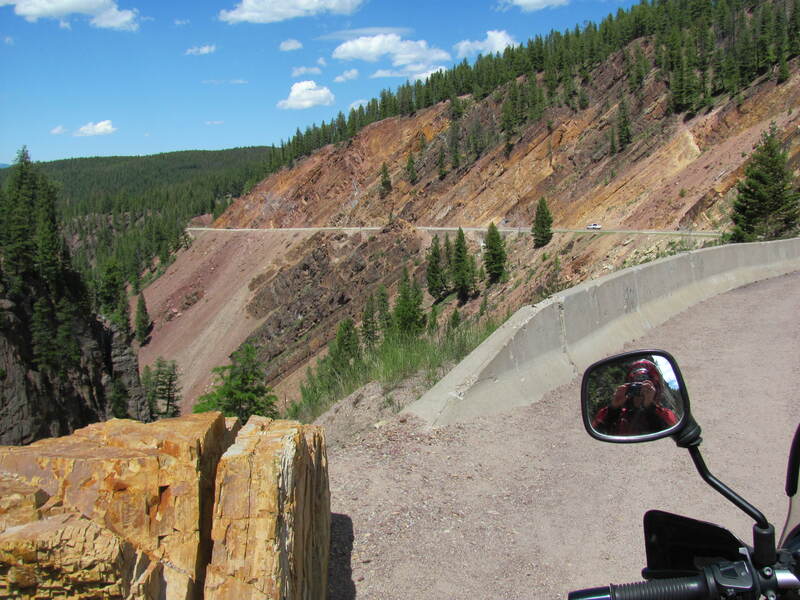 After a steep drop down some switchbacks at the head of the dam, the road flattened out and funneled me into Philipsburg. This town began its life as a mining town in the 1870s. The treasures sought back then included silver, gold, copper, and manganese. Today, along its main street, colorful flags wave and flower baskets hang from doorways of beautifully restored buildings. The shops offer gifts, second-hand clothes, and artwork, but I always make a beeline for the Sapphire Gallery first. Inside, the family-owned business offers a stunning variety of sapphires mined from nearby Rock Creek. The glittering stones come in every shade of the rainbow; I personally am partial to the yellow ones. This time I lingered over a two-stone necklace of sapphires like sun drops set beautifully in gold. Reluctantly I passed on purchasing it, as my bank account wasn’t quite up to the task. Next, I moved down Main Street to the Sweet Palace, where they make taffy and fudge and hand-dipped truffles. 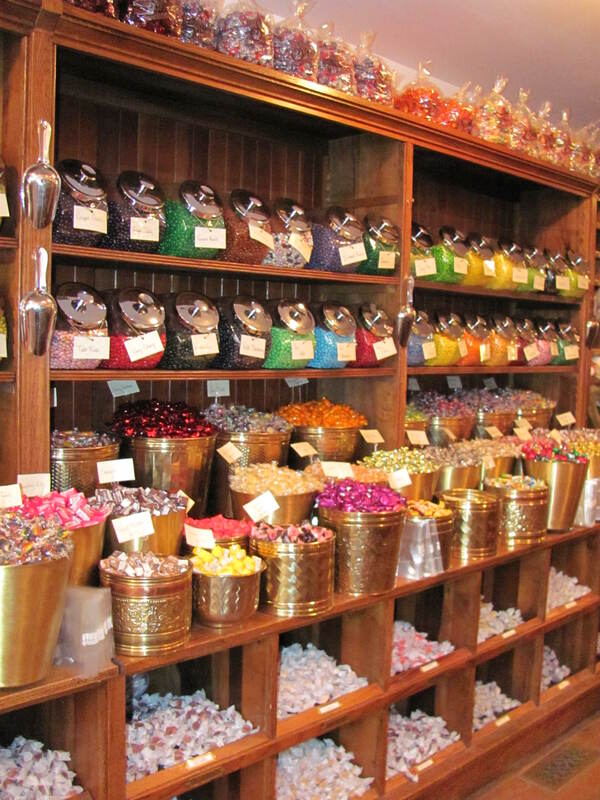 Hard candy, imported from all over the world, is displayed in glass jars on shelves that reach to the ceiling. Soon, my pockets were stuffed with sour lemon drops. This too was a treasure; along with sapphires and 19th century charm, Philipsburg provided tasty treats to savor on my ride home. Backtracking a few miles, I headed west to complete the loop ride over Skalkaho Pass. Breezy winds blew out of the west, and a few cumulus clouds built up to the south. But it was refreshingly cool up high, green and lush and infused with the sweet smell of ponderosa pine and a laughing rushing creek alongside the road. Finally, a surprise, a delight awaited me. Around a corner on the hard-packed dirt road, with no warning, Skalkaho Falls appeared. The thundering waterfall plunged several hundred feet down from origins high in the Sapphire Mountains. I parked on the road’s shoulder and enjoyed the spray of cool mist from the roaring cascade. Descending to the valley floor, the temperature sizzled close to three digits. 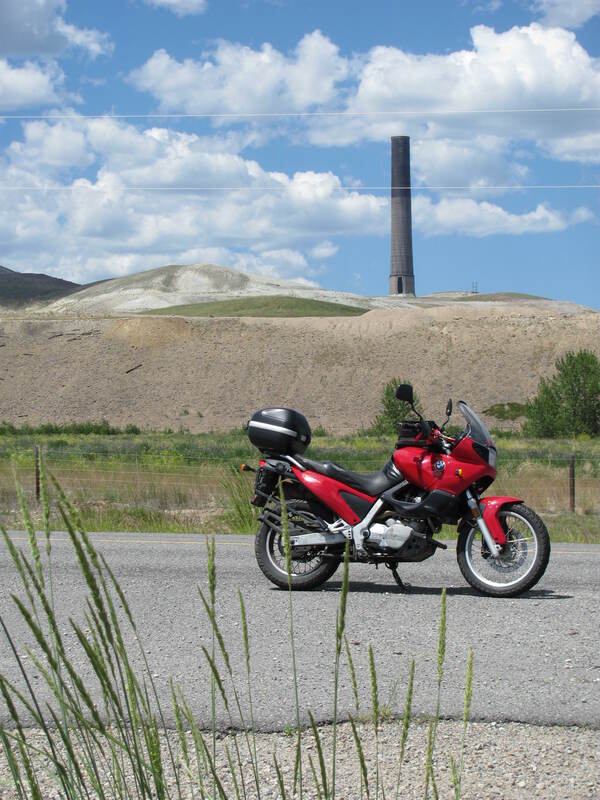 As I rode home northward through the Bitterroot Valley, it came to me that I had been granted all of my wishes, for wisdom, opportunity and treasure. 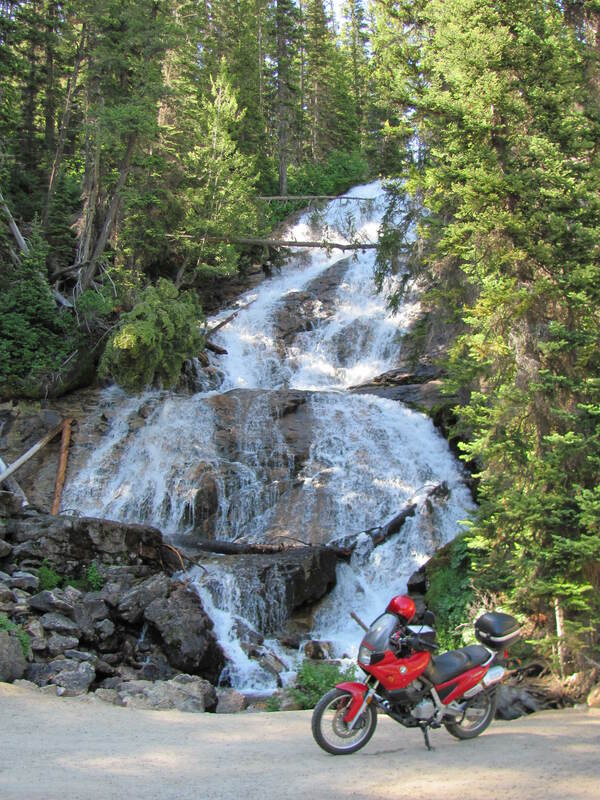 The bonus gift of Skalkaho Falls created a lovely coda to this scenic and interesting 300 mile ride through the mountains and historical towns of western Montana.